VR is traditionally a lonely experience. After slipping on a headset, you’re typically isolated (even if you’re sitting in a group), and even multi-person experiences only let two or three people share the same world. But it doesn’t have to be that way. 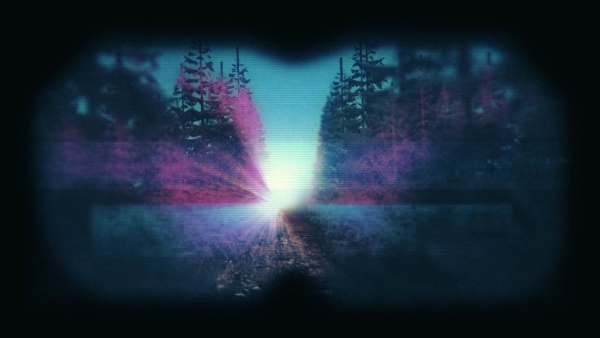 From April 26 to May 4 at this year’s Tribeca Film Festival, virtual reality company Parallux is premiering a new experience that 16 people can watch and enjoy together. The experience, Cave, is a tale set 12,000 years ago when stories were told around fires, harking back to the earliest days of shared storytelling. 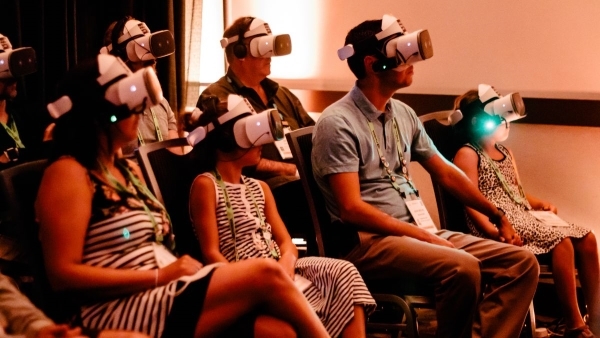 “When people will show up at Tribeca, they’ll enter the VR arcade, and our experience cave will be in a separate room there,” explains Sebastian Herscher, CEO of Parallux. “There are going to be 16 headsets on 16 seats, set up in two rows. They’re going to walk in, be asked to sit down and relax, and be introduced to the equipment that we’re using, just as a little bit of onboarding. When a member of the audience looks left or right, they’ll be able to see virtual representations of the people sitting either side of them. 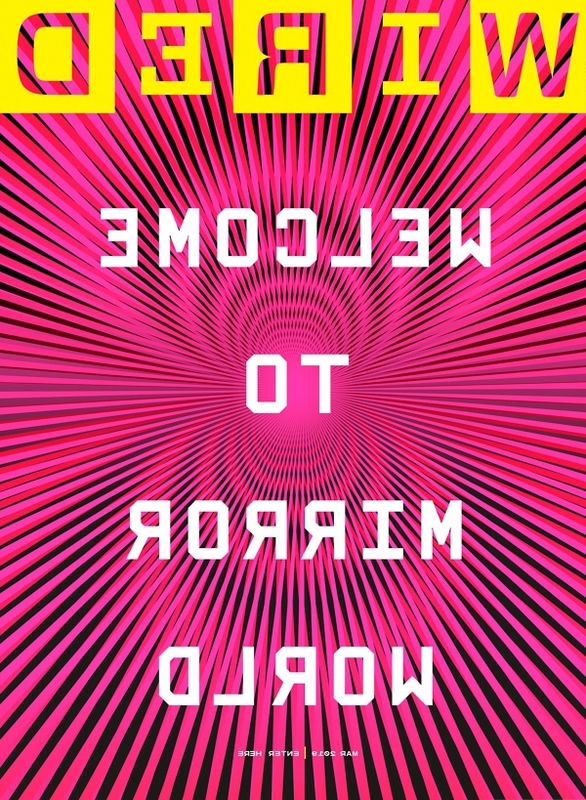 These won’t just be placeholders, either – each avatar will follow the movements of the person it represents, turning its head in the same direction and ‘looking’ wherever he or she does. Michelle Craske is asking patients to dive into coral reefs, ride on bullet trains rushing past pine trees, and cheer on soccer teams from the stands — at least virtually — in a bid to tackle a symptom long sidelined in depression treatment. The University of California, Los Angeles, psychiatry researcher and her colleagues are testing whether virtual reality can curb anhedonia, a symptom of depression and other serious mental health conditions that’s marked by a lack of interest or ability to feel pleasure. They’re putting patients into pleasant scenarios — like a stroll through a sun-soaked forest while piano music plays — and coaching them to pay close attention to the positive parts. The idea is to help patients learn to plan positive activities, take part in them, and soak up the good feelings in the process. It’s an unconventional strategy — not just for its use of virtual reality, but also for how it approaches a patient’s symptoms. Treatments for depression and other serious mental health conditions primarily target negative symptoms, like hopelessness, sadness, and anxiety — but they often don’t help with the lack of positive feelings that some patients experience. “Most treatments, up until now, have done an OK job at reducing negative [symptoms of depression], but a very poor job at helping patients become more positive,” said Craske. There aren’t data yet to determine whether virtual reality treatment can make a meaningful difference in anhedonia. But the technology is increasingly popular in mental health care. Other studies have suggested virtual reality can be useful in easing certain phobias, helping people with psychotic disorders experience less paranoia and anxiety in public settings, and reducing social anxiety. “It goes to the heart of the very best of psychological therapy — going into environments that cause difficulties and learning different ways of thinking, feeling, and behaving,” said Dr. Daniel Freeman, a University of Oxford psychologist who is studying whether it’s possible to use virtual reality to automate therapy for certain conditions, such as a fear of heights. Researchers elsewhere are using virtual reality for everything from treating PTSD in people who’ve experienced sexual trauma to equipping service members with coping skills they’ll need in combat zones. Unless your name is James Cameron, you’re probably a little skeptical of the recent surge in virtual reality as a medium for storytelling. (And even he wants you to know that what we tend to call “VR” isn’t true VR to Hollywood’s biggest devotee of technological advancements.) For most people, it’s still a limited platform, both cost- and access-wise; the forms of available VR platforms (Oculus, Steam, Vive, Google Play, PS4, etc.) are growing, but the amount of content waiting to greet those who pony up the hundreds of dollars for the necessary equipment isn’t yet commensurate with the investment. The richest source of entertainment in VR, unsurprisingly, is gaming, where the immersive environment is more useful as both a tool and aesthetic enhancement. Games like Superhot and Moss showcase the best the technology has to offer, making the player’s broad control of perspective an essential aspect of the experience. But when it comes to cinematic narrative alone, harnessing VR’s potential becomes more challenging. It’s not simply that a large portion of a director’s skill lies in guiding the eyes of the viewer exactly where they’d like them to be, and facilitating the transition from one sight to the next at a pace—and in an order—meant to maximize emotional impact, or illuminate a certain element of the frame for tactical purposes. There’s also the fact that almost no one seems to have figured out how to shoot a VR movie in a way that would compensate for the option to move your head and disrupt even the most rudimentary of compositions—essentially throwing the meticulous art of cinematography out the viewer-controlled window. 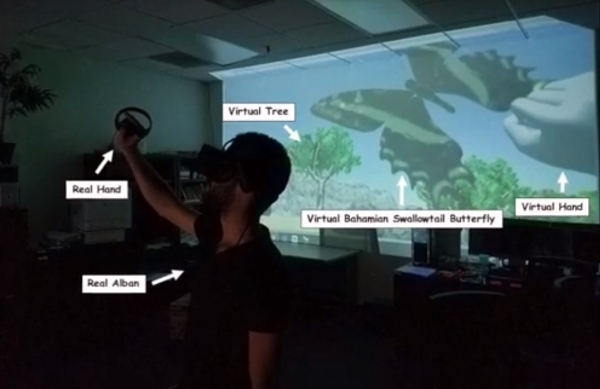 This is what Florida International University‘s team of computer scientist Alban Delamarre and biologist Dr Jaeson Clayborn strive to achieve by developing a VR game (desktop version also available) dedicated to insect and plant species. Focused on imperiled butterflies, their innovative idea: Butterfly World 1.0, is described in the open-access journal Rethinking Ecology. Have you ever loved a painting so much you wanted to step inside it? 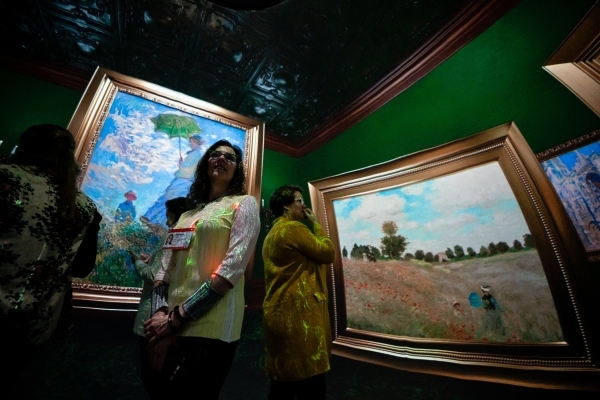 While the world of VR is usually utilised to take us to inaccessible locations like the depths of the ocean or the surface of the Moon, Vulcan’s Holodome offers the opportunity to enter the world of an impressionist painting in one of two experiences previewing at TED2019. Unlike the usual headset-based VR experience, the Holodome is a fully immersive environment you can explore with your fellow adventurers, unhindered by wearable equipment. Inspired by a love of Monet’s works, the late chair of Vulcan, Microsoft cofounder Paul Allen, wanted to create a way to step inside them. One where you can walk across the painter’s Poppy Field as it undulates around and beneath you, and Woman with a Parasol disappears over a nearby rise. Baylor graduate student Amanda Gardner always treated English and literature as immersive subjects for her high school students to plunge into and find shared experiences that could be transformative. Her latest educational project also immerses participants, but in a virtual way: a short virtual reality film that puts viewers in the living room of British poet Robert Browning, where Browning, his son Pen, their friends and family recall the life and poetry of Browning’s wife Elizabeth Barrett Browning. 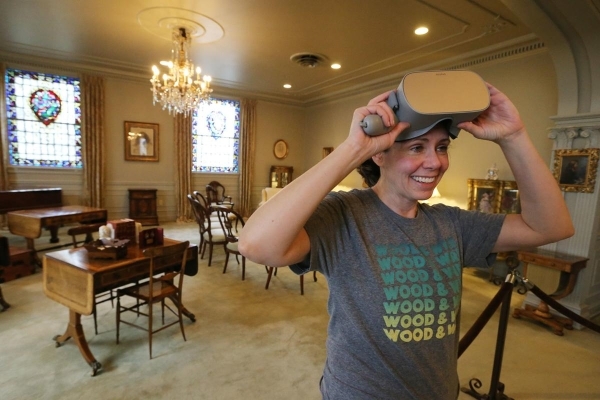 For Baylor’s Armstrong Browning Library, which preserves one of the world’s largest collections of Browningiana, Gardner’s Cinematic Virtual Reality project offers an unusual way to celebrate the library’s annual Browning Day on Friday. Gardner and her virtual reality collaborators will talk about the project with participants able to see for themselves through Oculus Go VR goggles. The library’s salon provided the ready-made and authentic setting during filming last year. It’s a recreation of the Brownings’ living room in Casa Guido, their home Florence, Italy, complete with Elizabeth’s writing desk, a prayer stand and two tables used by her sisters. Baylor theater professor Steven Pounders and students Noah Alderfer and Bailey Harris led a cast of about 10, all dressed in period costumes and working off a script written by Gardner. Those who put on the VR goggles can walk through the room and eavesdrop on several conversations as those at the memorial, set in 1866, share their memories of the poet and some of her work. 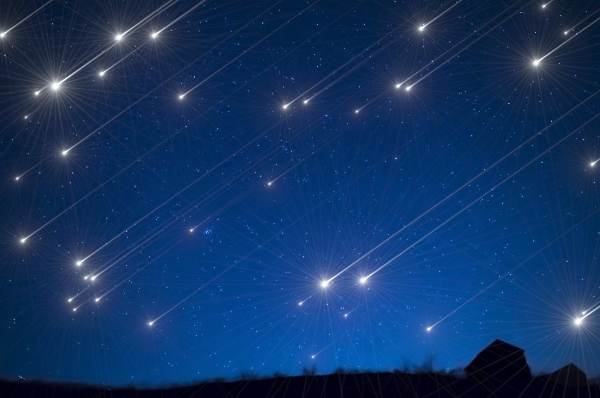 Artist Antony Gormley has teamed up with astrophysicist Priya Natarajan on a virtual-reality experience that allows users to walk on a digital version of the moon created using data from NASA. 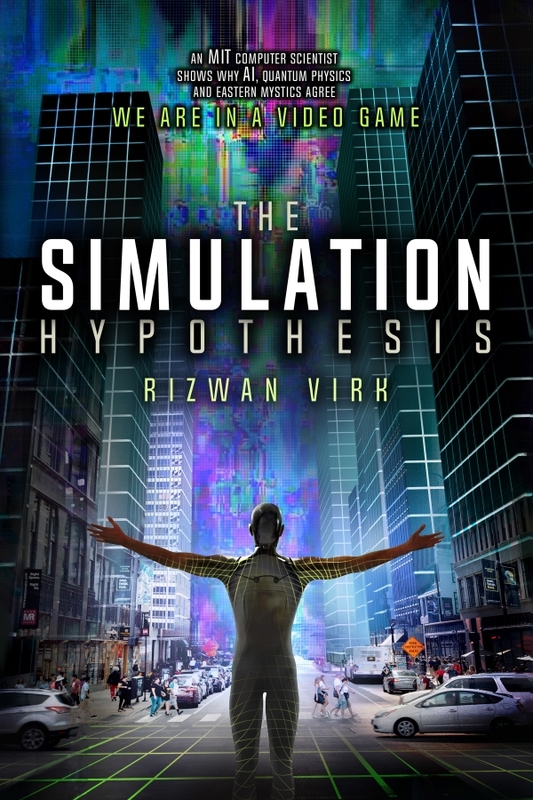 The 15-minute immersive experience sees visitors don a virtual-reality (VR) headset to travel from an imagined version of Christmas Island in the Indian Ocean, through the earth’s atmosphere to the moon, where they can walk across its surface. On the way, they pass through the stratosphere and around virtual asteroid belts before eventually travelling from the moon on towards the sun. 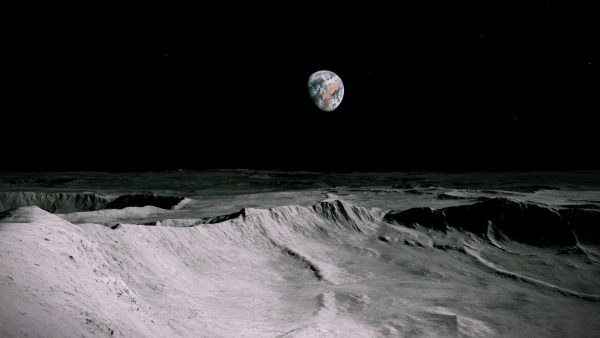 “Our nearest neighbour is the moon, and this project allows us to experience it as a found object in space, to explore its vast open spaces and swoop the ridges and valleys of its craters,” said Gormley. Produced with Acute Art, a virtual and augmented reality production studio that specialises in creating digital artworks, the experience takes place in a room kitted out with five VR headsets at The Store X‘s space at 180 The Strand in London. With Acute Art’s chief technology officer Rodrigo Marques, the pair recreated the surface of the moon, using the publicly available data set from NASA’s ongoing Lunar Reconnaissance Orbiter – a robotic spacecraft currently orbiting and mapping the earth’s moon. Using a hand-held gaming stick and the movement of their own bodies, visitors are able to move across the moon’s craters, and experience the weightlessness of bouncing on its surface. “This year we celebrate the 50th anniversary of the moon landing. Only 12 human beings have walked on the moon to date, but many unmanned missions have provided comprehensive high-resolution maps of the lunar surface,” said Natarajan.